Research Associate, (University College of Science, Calcutta), 1967-1969. Lecturer in Chemistry, Surendranath College, (University of Calcutta), 1969-1970. Lecturer in Chemistry, T.D. Post-Graduate College (University of Gorakhpur), 1970-1976. Post-doctoral Research, (University of Dortmund, Germany), 1976-1977. Post-doctoral Research, (University of Bielefeld, Germany), 1977-1978. Lecturer in Chemistry, (Indian Institute of Technology-Kanpur), 1978-1980. Visiting Scientist, Faculty of Chemistry, (University of Bielefeld, Germany),1981-1982. Visiting Scientist, Charles F. Kettering Research Laboratory, Yellow Spring, Ohio, USA, ,May-July, 1984. Assistant Professor of Chemistry, (Indian Institute of Technology-Kanpur),1981-1988. Visiting Assistant Professor of Chemistry, (University of Charlottesville, Virginia), USA, 1988-1989. Professor of Chemistry, Indian Institute of Technology-Kanpur, 1988- 2012. Humboldt-Fellow , (University of Bielefeld, Germany),Dec.1998- Feb.1999. Visiting Professor, (Tata Institute of Fundamental Research, Mumbai),May-July, 2000. Visiting Professor, (University of Karlsruhe, Germany),June-July, 2002. Chair, Department of Chemistry, (Indian Institute of Technology, Kanpur), January,2001-December,2004. Member, Board of Directors, Cromoz Inc, .Raleigh, NC 27617, USA,September, 2004-contd. Re-invited by (Alexander von Humboldt Foundation, Germany), June-July, 2006. 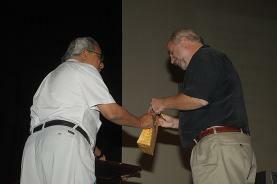 Visiting Professor , (Central University Hyderabad, India),January,2007. Honorary Emeritus Professor, Department of Chemistry, (Indian Institute of Engineering Science and Technology, Shibpur), 2012- 2015. Honorary Visiting Professor, Center for Healthcare Science and Technology, IIEST, Shibpur, 2016 - Cont.